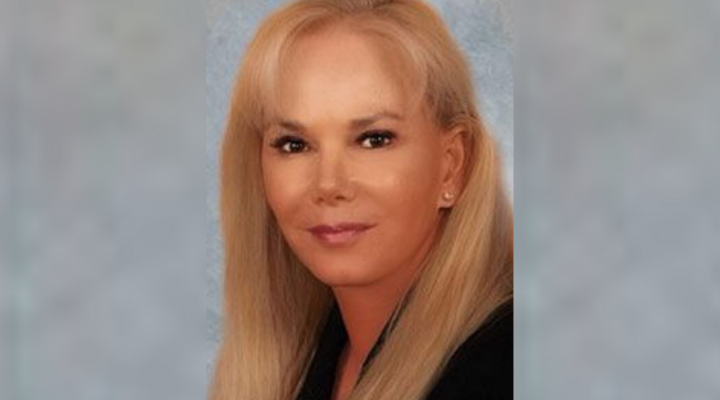 Marianne Cohan DDS is an award-winning dentist who runs her own practice in Las Vegas. She began her carrier by attending the State University of New York at Buffalo where she pursued an undergraduate degree as well as her dental specialization. She also minored in periodontics. Presently, when she is not working at Summerlin Dental Solutions, she spends time working on her knowledge of cosmetic, reconstructive, and implant dentistry. Doing so allows her to stay at the forefront of the trends in the market and continuously provide her patients with the best treatment options. What is a common misconception in your field? I began by working as an assistant for some of the best dentists in the region. This is how I was able to improve my skills and get the technical experience that I lacked right after college. After a while, I moved up to the position of a dentist and have been doing this job ever since. My inspiration for starting in Las Vegas was the fact that I was always intrigued by this market and wanted to be a part of it. More importantly, I found an opening at Summerlin Dental Solution at the perfect moment. Thus, the timing was about as good as it gets. By serving patients who come to our office. I also do some marketing from time to time and promote certain brands of toothpaste and other dental materials. This, however, is not as common for me anymore because I have a hefty patient load that keeps me occupied during all of my hours. Well, moving to Nevada was quite a drain on my capital. That being said, my salaries quickly recouped the funds that I had to invest in the relocation. As far as the exact number of months, per se, I believe that it was no longer than six months to a year. I definitely reached profitability before the first year of my career was up. This is something that I am very proud of as many individuals struggle during that particular time. It is important to note that I also graduated without any college debt. Obviously, was an incredible boost as I did not have to worry about repaying old loans and accumulating interest. Not really. I knew that I would do anything in my power to reach my dream position. And although becoming a dentist is difficult, the barriers to entry the market are nowhere near as scary as some other industries. So, once I completed my education in New York, I was well aware of the fact that I possess the necessary qualifications to find a perfect job for me. At that point, the only obstacle was actually finding the job that satisfied me. It was a long-term patient to one of my superiors who had to be switched because that superior retired. Since then, the patient and I have become extremely close. Summerlin Dental runs a few different ad campaigns across various platforms. These include some old-fashioned sources like the newspaper and sometimes the TV. More importantly, however, we are slowly moving into the spheres of social media. We already have half a dozen marketing campaigns that are active on Facebook and target eligible patients here in Las Vegas. Soon, we plan to start doing more promotions and we want to enter more platforms like Instagram and YouTube. Deciding on which state of the art equipment we were going to purchase that would benefit not only the practice, but the patients as well. The nerd in me came out and in the end the decision was easy – the best of the best for everyone involved, especially once all of the specs were shown. I am not afraid of failure. A lot of things that I do are handled under the assumption that I am going to succeed. Nevertheless, I am fully aware that there is always a chance that I could fall short of my goals. This helps me be less self-conscious and I can focus on my actions instead of over-analyzing myself. When a patient has returned only to tell me that I helped make a difference in their lives. An example of this is when a young woman, after an accident told me that I was able to bring back her smile. I think that we will soon look into hiring more dentists so that we can take on additional patients that have been waitlisted for a long time. I am very excited about this change as it means that we will be upgrading our office to expand our capacity. “Think and Grow Rich” by Napoleon Hill and “Rework” by David Heinemeier Hansson and Jason Fried. I recently invested in overhauling and remodeling the practice. We installed state of the art equipment that would not only benefit myself and the staff, but my patients as well. We laid down marble, reinforced the grand staircase, painted, etc. I think that aesthetics plays a major part in the comfort of patients and staff alike. There are so many that it is hard to just pick one. The most recent one that I had to explain to one of my patients is that white teeth do not necessarily mean healthy teeth.